Heat the butter in a skillet on medium high heat. When the butter is almost melted, add the garlic and cook for a minute. 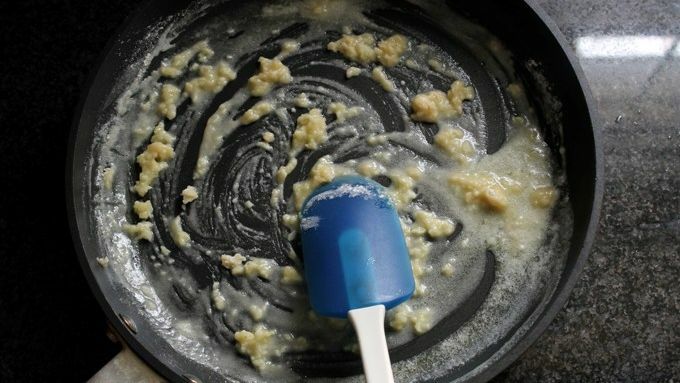 Stir in the flour to form a paste. Gradually pour in the coconut milk while stirring constantly with a whisk. 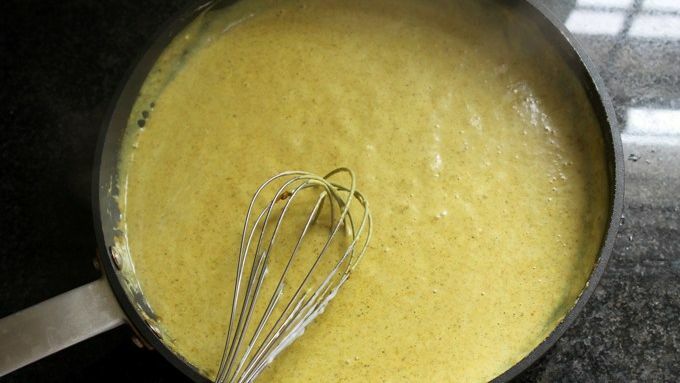 Continue to stir constantly until the mixture is smooth, bubbly and thickened, about two to three minutes. Stir in the curry powder, salt and brown sugar. Mix in the lime and ginger. Add the shrimp and cook just until the shrimp is heated through, about 2 to 3 minutes. Meanwhile, heat the rice in the microwave. 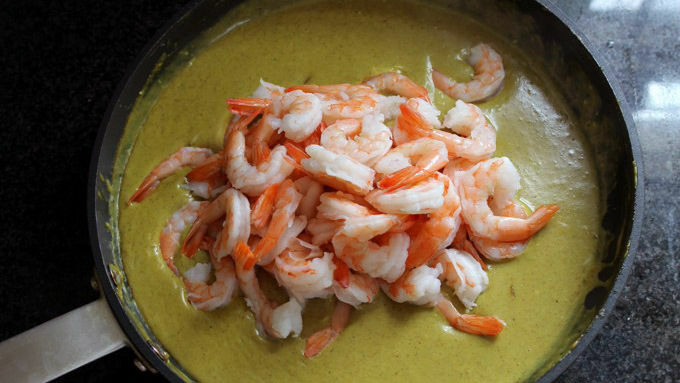 To serve, spoon rice into bowls, top with the shrimp curry and sprinkle with fresh herbs. You can substitute cut-up rotisserie chicken for the shrimp. You can also add red pepper flakes for a hotter version. A restaurant-quality curry dish made in minutes and so simply? YES. The smell of curry powder brings me right back to my grandmother. We are of Irish and English descent and settled in New Jersey. I think nutmeg was the most exotic spice we had in the cabinet. Until... my grandmother discovered curry powder. She would add it to her white sauce and mix in leftover leg of lamb, just for me. I adored the stuff. But the days I could play all day and have someone else serve me dinner are long gone. Sigh. Now I’m always in a hurry. And I have to do everything. Luckily, this flavorful curry sauce can be prepared in just 15 minutes. This sauce is versatile, too. You can use regular milk instead of coconut milk. Or, if you’re not a fan of seafood, just cut up a rotisserie chicken to toss in instead. Like it hot? Add red pepper flakes or use spicy curry powder. You can also sauté raw shrimp instead of using frozen cooked shrimp, but like I said, I’m always in a hurry, and I have to do everything, so I don’t have an extra five minutes for that! But enough gabbing. You’ve got dinner to make. If you want to kick up the flavor, stir in the lime and ginger. If you need even more kick, add about 1/4 teaspoon of red pepper flakes. 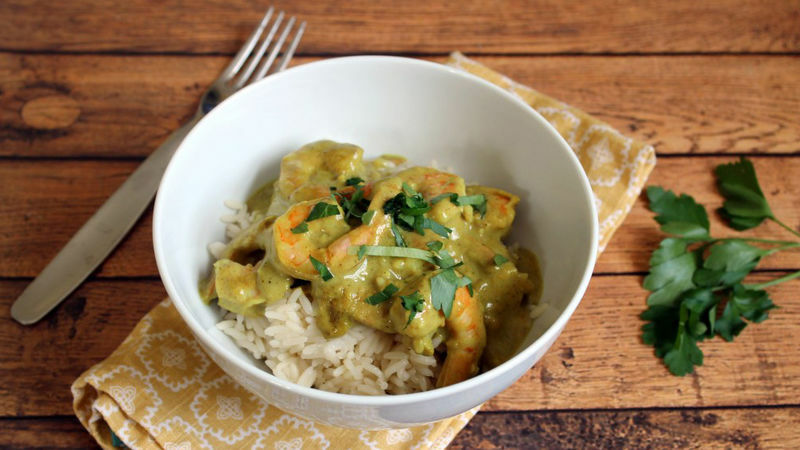 Heat up some rice in the microwave, spoon into bowls, top with your shrimp curry and sprinkle with fresh herbs. I used parsley here, but you can also use basil or cilantro. I’m one of those few folks in the world who does not like cilantro (must be that mostly-bland New Jersey upbringing), so I wouldn’t – but go for it if you have a taste for it. Then eat up!